I love beans, which you can easily tell if you look at my other dinner’s. This recipe is easy, and yummy. 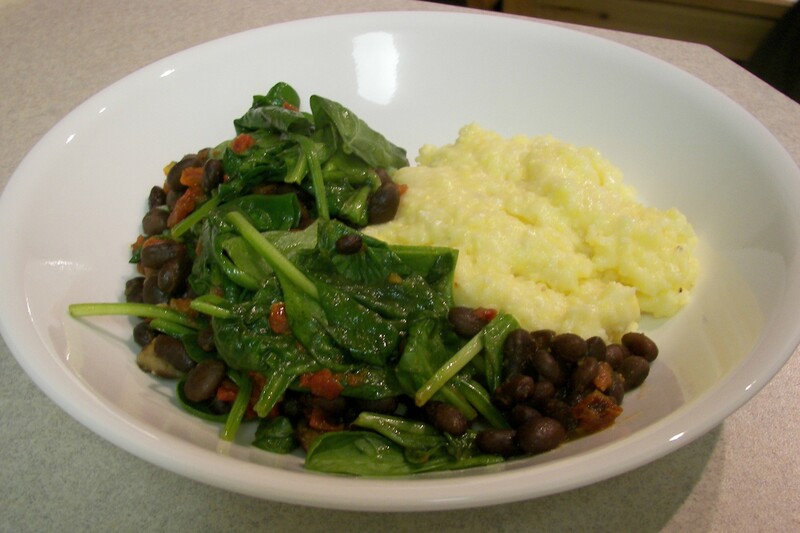 Black beans go very well with roasted sweet potatoes and greens. This recipe is adapted from Vegetarian Cooking for Everyone. Soak beans over night. Drain, rinse then cover with water in a large pot. Bring to a hard boil for 10 minutes, skimming any foam that collects. Add the onion and oregano. Lower the heat and simmer, partially covered until the beans are tender, about 45 minutes. Drain, reserving liquid. Heat some oil in a large skillet over medium high heat, add the onion and saute for about 4 minutes. Add the cooked beans along with the chili, and tomatoes, lower the heat and simmer for 15 minutes. If the beans get dry, add back some of the bean liquid. Add salt to taste (about 1/2 tsp or less is good). Enjoy.